A native Texan, W. Vernon Burke, Jr. was born in Wharton June 8, 1936. He and Fay K. Primrose were married on October 24, 1976. They have five children: Heather Doughty, Rory Burke and Rikke Graber. Their two other children, Rachel Burke (deceased 1985) and Scot Primrose (deceased 1995) are in their thoughts daily. There are four grandchildren. Brother Burke holds executive positions with Brazos Pipe and Steel Fabricators, Inc. and with Brazos Industrial Contractors, Inc., both located at Freeport Texas. A man who strongly believes that good Masons should be active and supportive of various community activities, Grand Master Burke practices those beliefs by his actions and support in his community. He served as a member of the Board of Education of the Columbia-Brazoria Independent School District from 1970 to 1976; served as a member of the Vocational Education-Advisory Council of the Brazosport Community College from 1976 to 1980; coached Little League baseball from 1964 to 1970 and has been a member of the Lake Jackson Police Department Citizen Police Academy Alumni Association since 1995. His concern for the youth of his community and for law and order among citizens has led him to sponsorship and leadership roles of various law enforcement activities. Our Most Worshipful Grand Master was raised a Master Mason in St. John’s Lodge No. 5 at West Columbia on February 22, 1963. He served as Worshipful Master of that Lodge during the 1987-1988 Masonic Year, and has been an Endowed Member there since 1987. His Grand Lodge service began soon after his term as Worshipful Master of his Lodge. He was selected by Grand Master Leonard P. Harvey to serve as District Deputy of Masonic District No. 31-C during the 1989 Grand Lodge year, served on the Grand Lodge Committee on Grand Officers Reports during 1990, 1993 and 1995; was Chairman of that committee in 1993, and was District Masonic Relations Officer in his district from 1991 through 1995. Brother Burke was named by Grand Master R. O. “Bob”. Schnell to serve as Assistant State Coordinator in 1993; was appointed by Grand Junior Warden Joseph W. Regian to the office of Grand Senior Steward in 1994, and served in the dual roles of State Coordinator and Grand Marshal under Grand Master Robert P. Walker in 1996. It was in December 1996 that W. Vernon Burke, Jr. began his ascent of the Grand Lodge ladder which has lead to his election and installation as Most Worshipful Grand Master on December 4. 1999, to serve as Grand Master at the beginning of a new millennium. An active member of the York Rite Bodies, he is Past High Priest of Columbia Chapter No. 34, Royal Arch Masons, Past Thrice Illustrious Master of Columbia Council No. 29. Royal and Select Masters, and is Past Commander of Litt S. Perry Commandery No. 111. He served as District Deputy Grand High Priest of the Grand Chapter of Royal Arch Masons in 1993, and as District Deputy Grand Master of the Grand Council of Royal and Select Masons in 1994. 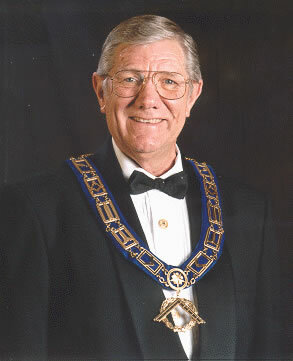 Brother Burke is a member of the Galveston Scottish Rite Bodies, and in recognition of his service to Freemasonry he was invested with the Rank and Decoration of Knight Commander of the Court of Honor in 1995. An active Shrine Mason, he is a member and Past Potentate of El Mina Shrine Temple in Galveston. and was president of the Texas Shrine Association in the 1995/1996 Shrine year. His other Masonic memberships include Chinar Grotto of Houston, Order of the Eastern Star Chapter 705 in West Columbia, Gulf Coast York Rite College No. 106, Order of the Amaranth. Court No. 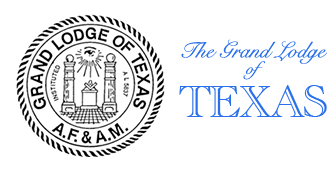 2, Texas Lodge of Research, Masonic Oak Council No. 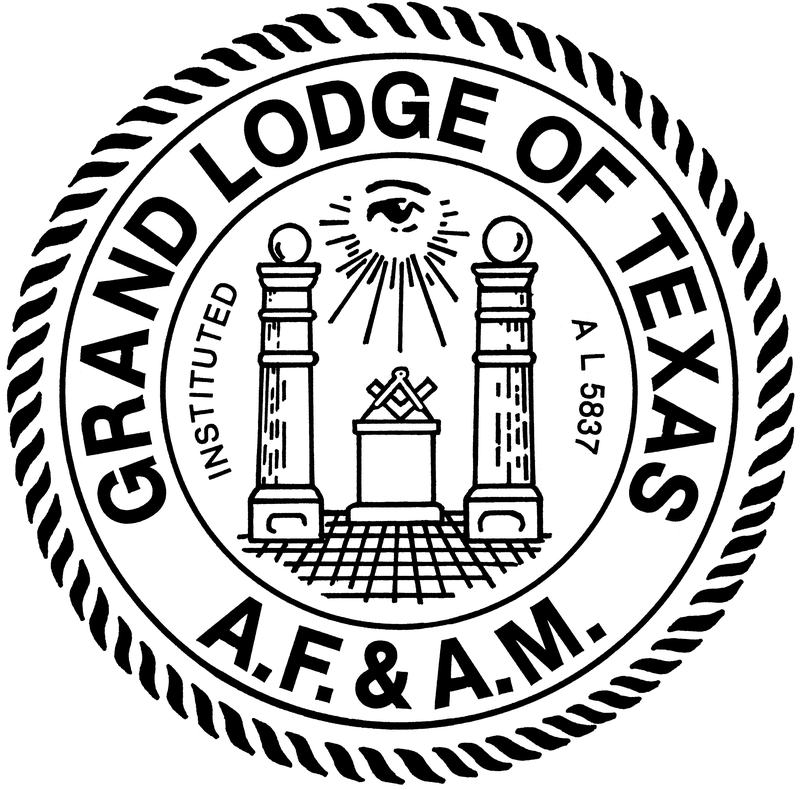 323 Allied Masonic Degrees, Texas College Societas Rosicruciana (Masonic), Anson Jones Council No. 47 – Knight Masons, the Red Cross of Constantine, Freeport Chapter No. 487 Royal Arch Masons, Freeport Council No. 402 Royal and Select Masters, Knights of the York Cross of Honour, Royal Order of Scotland, Order of the High Priesthood, Order of the Silver Trowel, Sam Houston Hall of Fame, honorary member of DeMolay Legion of Honor, Member in Perpetuity National Sojourners – Houston Chapter No. 513 and a Patron of the Grand Lodge Library and Museum. Right Worshipful W. Vernon Burke, Jr., — Grand Master of Masons in Texas — is a proud and loyal family man, an astute businessman, a dedicated Mason with a deep sense of duty and displays those leadership qualities which inspire others to follow – simply became he sets the example as a leader. 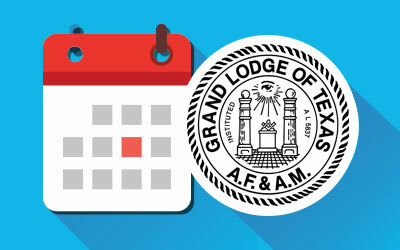 When those attributes are combined with his sincere desire to serve the Masons of Texas; his willingness to test innovative ideas; his willingness to listen to the Masons of Texas, there is reason to anticipate the future of Texas Masonry with confidence.